If you need care for your gums, you’re going to want the least invasive and most cost-effective treatments available. At Hicks Dental Group, we offer something called periodontal scaling and root planing for patients who are experiencing gingivitis and moderate to severe periodontal disease. Looking for non-surgical gum treatment in Prescott? Feel free to call us and set up an appointment to discuss your needs. This is a common procedure for patients when the structures below their gum line have been damaged. Using an ultrasonic scaling tool, the procedure performs a dental cleaning that reaches the plaque and tartar below the surface of the crown and root. In many cases, irrigation and delivery of an antimicrobial agent below the gums may be necessary to reduce oral bacteria. This procedure removes cementum and surface dentin that is embedded with unwanted microorganisms, toxins, and tartar. The root of the tooth is then smoothed to prevent bacteria growth from developing in the future. Why would I need these treatments? Gum disease is caused by a film of bacteria called plaque. Plaque is always forming on your teeth. If they aren’t cleaned properly, the bacteria in plaque can lead to inflammation of the gums. This causes the gums to pull away from your teeth and form spaces called pockets. Regular brushing cannot reach the trapped plaque in these pockets. Chronic periodontitis affects 47.2% of adults over 30 in the United States. The American Dental Association conducted a study in July 2015 that found that scaling and root planing are beneficial to patients with this condition. These procedures are beneficial in preventing the bacteria in your mouth from spreading to other parts of your body and creating conditions like lung infections and heart disease. Periodontal disease is also the leading cause of tooth loss in the developed world. As a result, scaling and root planing can help prevent the loss of teeth. In addition, this treatment can help remove stains and improve halitosis (bad breath). 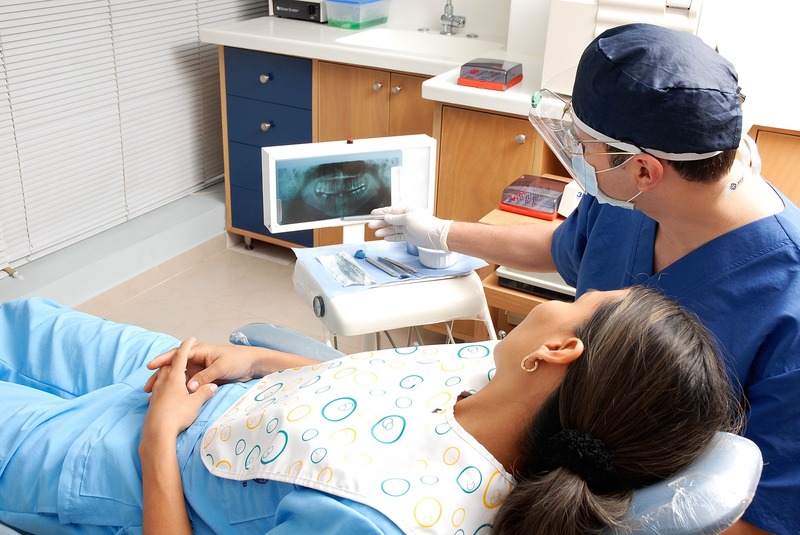 Scaling and root planing are performed after taking x-rays and a performing a thorough examination by your dentist. They also require a follow-up visit to assess how well the pockets have healed. We know you want healthy teeth and healthy gums, and we want to do everything we can to help you achieve that goal. Scaling and planing are examples of non-surgical gum treatment in Prescott that could provide you a pathway toward gaining or regaining strong gums and teeth, for a bright smile and a bright future. If you have questions, please feel free to reach out to our offices at Hicks Dental Group. We’re here to make your smile bright and strong!